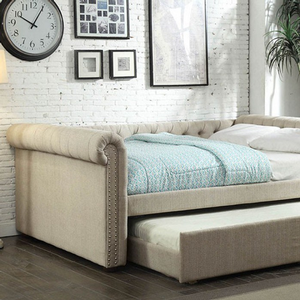 The soft, feminine touches displayed on this romantic ivory colored daybed provide a soothing appeal to any bedroom. 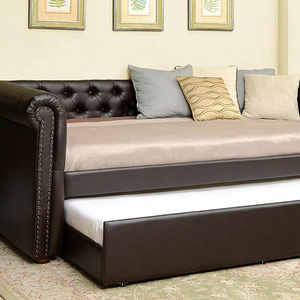 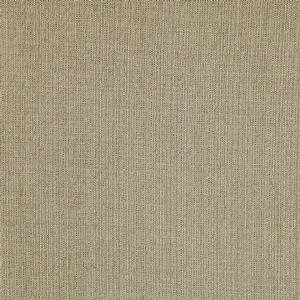 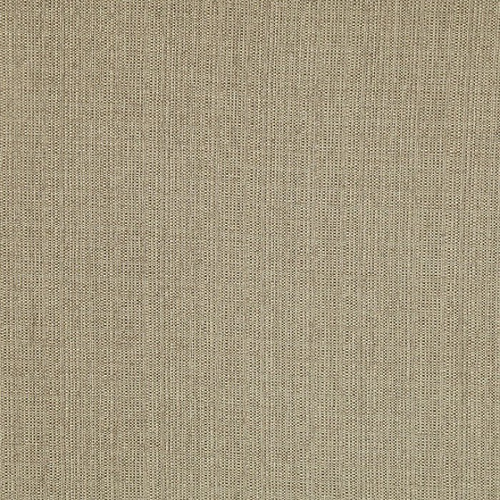 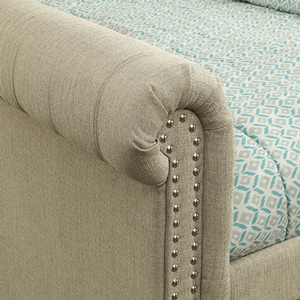 Deep button tufting runs along the entire linen upholstery as dual nailhead trim enhances the tuxedo style structure. 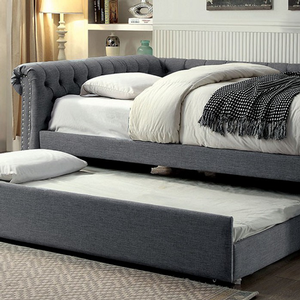 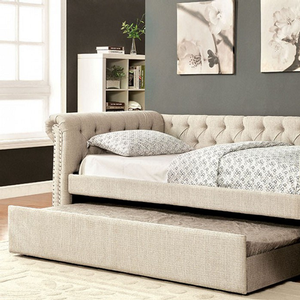 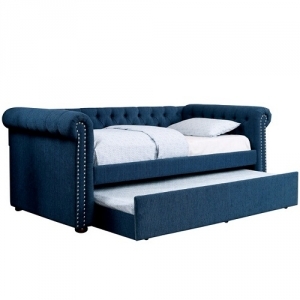 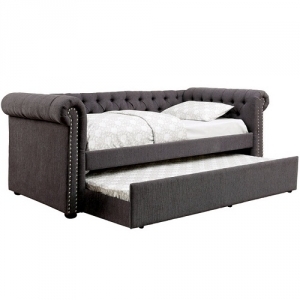 This daybed is sure to be a welcome addition to any home!